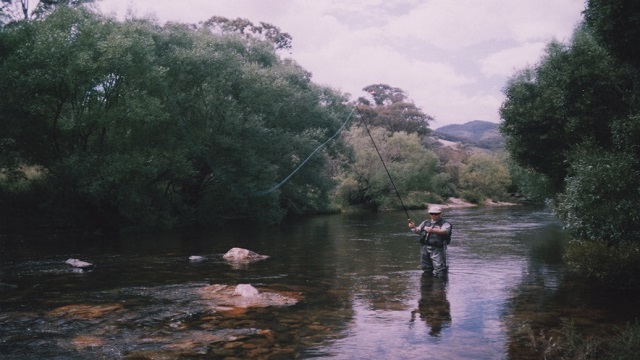 Tumut Fly Fishing - Snowy Mountains - Lessons,Guiding,Courses. Lessons, Guiding, Tuition Regardless of age, physical limitations or fitness, you’ll be amazed how easy and simple our techniques are. MEN, WOMEN, CHILDREN- TRY IT YOU’LL LOVE IT! If you’ve ever been amazed in how this magical style of fishing is done but were always uncertain whether to try your hand, this is your opportunity. 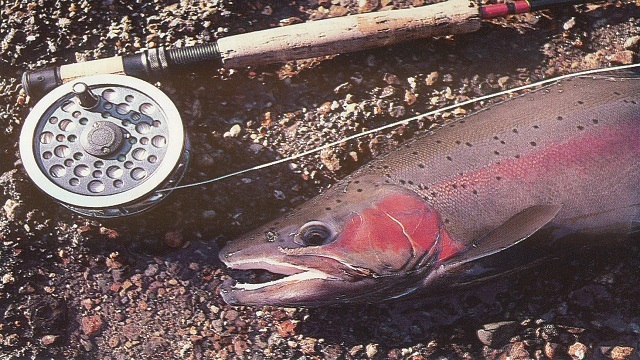 THE TECHNIQUE OF FLY FISHING CASTING IS THE MOST IMPORTANT THING TO LEARN. ONCE YOU KNOW HOW TO CAST THEN EVERYTHING ELSE FALLS INTO PLACE. WE”LL SHOW YOU HOW TO CAST ACCURATELY AND CONFIDENTLY WITH NO REPETATIVE BACKWARDS AND FORWARDS FALSE CASTING. WHETHER YOU’R A BEGINNER OR HAVE PREVIOUS EXPERIENCE, IN 4 EASY KINETIC MOVEMENTS YOU CAN CAST 20 METRES EVEN SITTING DOWN. OUR WORLD EXCLUSIVE SIMPLE TECHNIQUES WILL GIVE YOU CONFIDENCE TO FLY FISH ANYWHERE YOU LIKE eg- SYDNEY HARBOUR, BARRAMUNDI IN THE TOP END, SNOWY MOUNTAINS TUMUT TROUT/ COD, OR WILD SALMON IN CANADA etc. Don’t Hesitate, Call us, Regards Tony- Senior Instructor. TROUT, COD, BARRAMUNDI AND ALL SPECIES FLY FISHING LESSONS, COURSES, GUIDING. 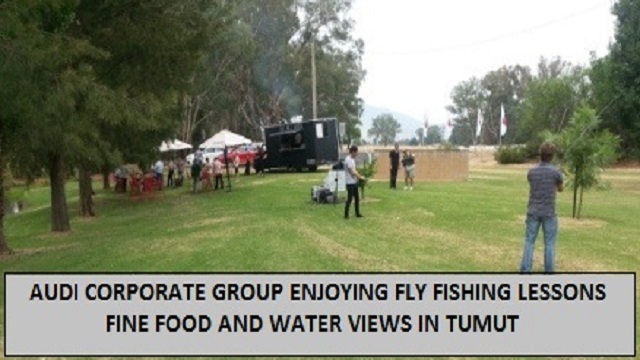 Tumut Fly Fishing – Book your session now, call TANE – 0269475790 0458388383. 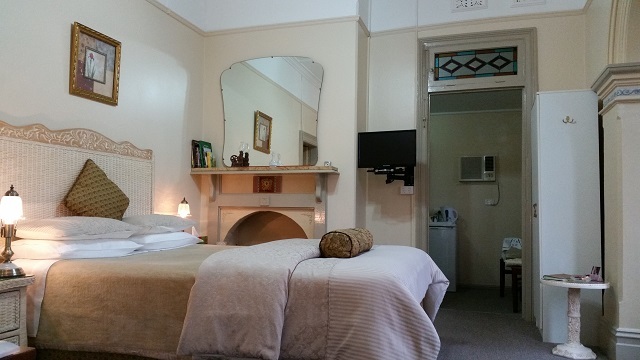 ACCOMMODATION AVAILABLE AT BOUTIQUE MOTEL SEFTON HOUSE – Tumut from $110.00 to $145.00 per night. A choice of 9 rooms and suites to choose from or book the entire property just for your group of up to 20 people. Click on the Rooms button at the top of the page to view all the beautiful rooms and prices. 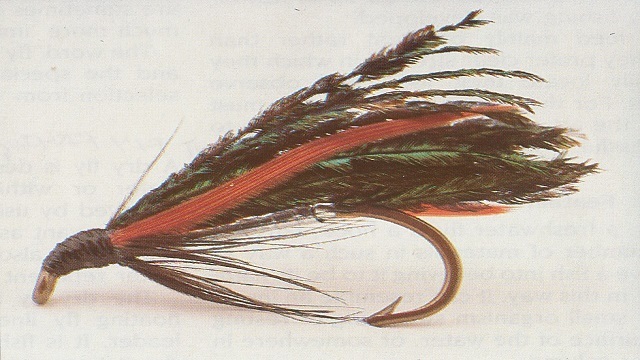 The art and technique of Fly Fishing is almost 2,000 years old and started in the mountains of ancient Macedonia where the people would try and workout creative ways of how to make little patterns that suited the insect life flying around the surface of the water and hopefully enticing the Trout to rise and take it. To this day the ancient concept has not changed and it is just as exciting now as it was then. 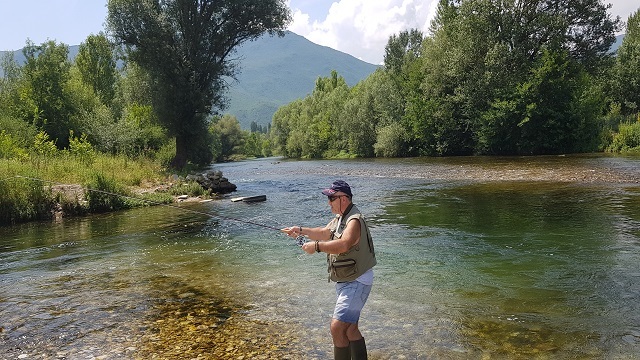 Fly fishing is an absoulute delight to do either on your own or as a couple, family or the ultimate activity for team building. Try it, you’ll apprecitae it. 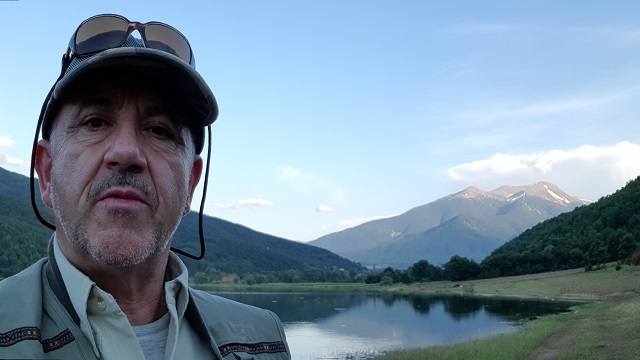 If you’ve ever been amazed in how this magical style of fishing is done but were always uncertain whether to try your hand, or have been Fly Fishing for many years but not having any success. This is your opportunity, don’t hesitate. 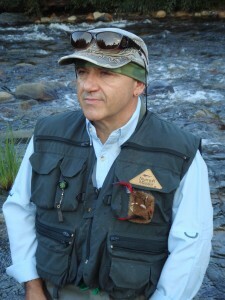 THE ART AND TECHNIQUE OF FLY FISHING CASTING AND PRESENTATION IS THE MOST IMPORTANT THING TO LEARN. ONCE YOU KNOW HOW TO CAST AND PRESENT, THEN EVERYTHING ELSE FALLS INTO PLACE BEAUTIFULLY, eg rod & fly selection. We’ll show you how to cast and present comfortably, accurately and confidently with no repetetive backwards and forwards energy wasting false casting. Whether you’re a beginner, intermediate or advanced fly Fisher, You Will Be Amazed and Delighted. Guaranteed. LEARN OUR TUMUT FLY FISHING REVOLUTIONARY KINETIC PRECISION POWERCAST and in 4 easy kinetic movements you can cast 20 metres even if you are sitting down. Tumut Fly Fishing exclusive simple techniques will give you confidence to Fly Fish anywhere you like eg; Sydney Harbour, Barramundi In The Top End, Snowy Mountains Trout/Cod or Wild Salmon In Canada etc. KNOTS- the eternal quest and search for the ultimate knots is over. 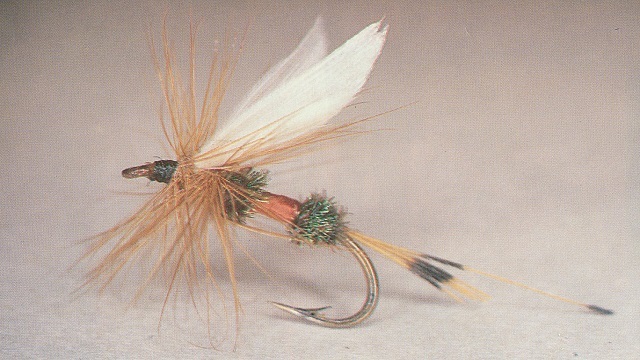 Included in your Tumut Fly Fishing session is a demonstration on how to use just 3 magic simple knots which I have perfected over 30 years. You’ll receive a printed diagram of the knots for you to keep, learn and use these special knots with any style of fishing, they are absolutely perfect, simple and will never let you down. EXCLUSIVE MASTER SESSION- Custom Designed Session and Pricing To Suit Your Needs. 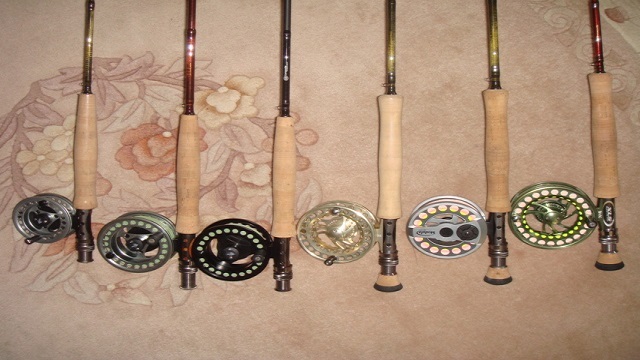 INCLUDES: GEAR, LEARN THE WORLD EXCLUSIVE SIMPLE KINETIC PRECISION POWERCAST, ROLL, STEEPLE, MENDING CAST, KNOTS, FIGURE 8 RETRIEVE, STREAM/RIVER CRAFT. Please call for further information. 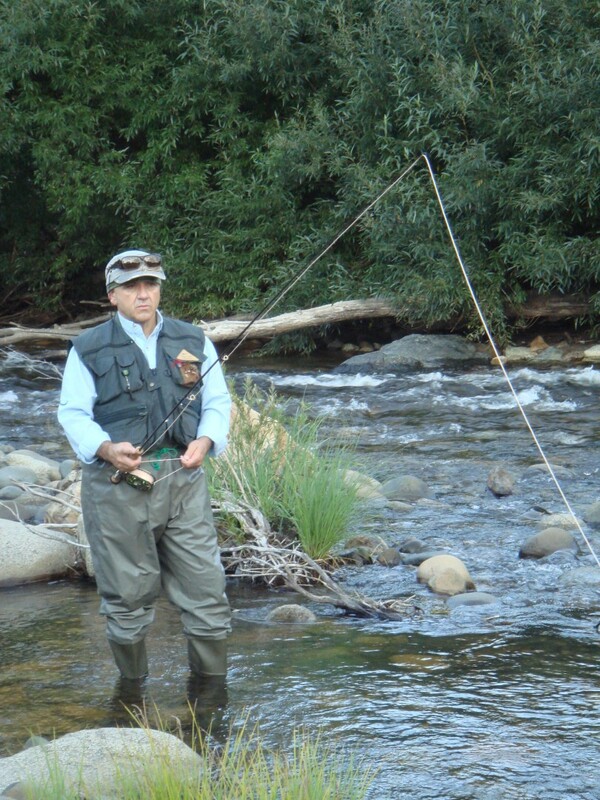 TUMUT FLY FISHING COURSES – THE ULTIMATE EXPERIENCE – Guaranteed Results. FOR BIRTHDAYS – ANNIVERSARIES – XMAS GIFT – SPECIAL SURPRISE etc: IT’S A LOVELY IDEA. “I didn’t know how to Fly Fish” I arrived in Tumut to start Fly Fishing. It occurred to me I didn’t know how to Fly Fish despite my video watching. I also had not booked accommodation. 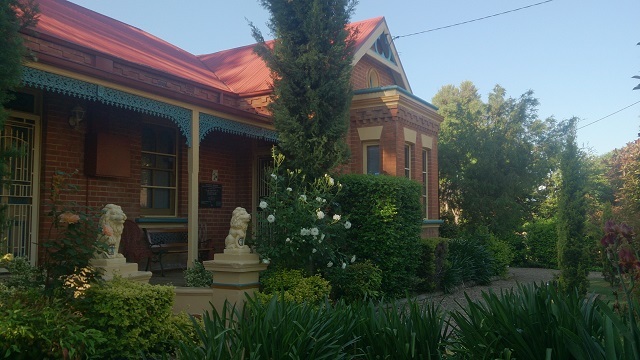 After reading a regional tourist newspaper, I saw an ad that said ” phone Tane for a nice relaxed and friendly talk” So I did, I then had accommodation at Boutique Motel Sefton House along with a half day Tumut Fly Fishing lesson with Tane. My heart problems restrict me somewhat. Tane’s understanding of “kinetics” allowed him to develop his unique approach. The beauty of Tane’s technique and approach is the efficiency, simplicity and fluidity of motion which not only makes Fly Fishing “easier”, but less stressful, less “raw” energy involvement and more harmonious with the whole body. 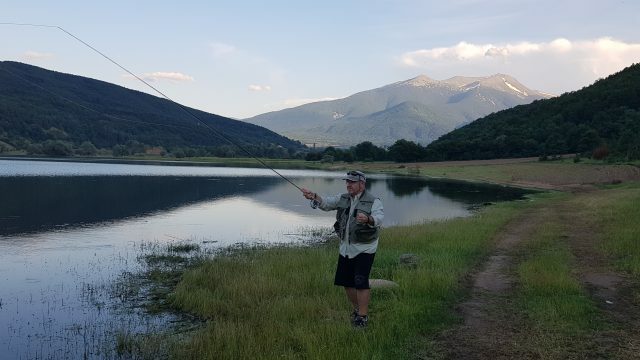 At the end of the “lesson”, I reflected to myself that I was breathing better, I was more focused on muscle relaxation, I was standing and moving for 6 hours, and best of all, I have a Fly Fishing technique and understanding I never had previously. Thanks immensley Tane, for helping me in more ways than one. My overnight stay at Sefton House was most relaxing as well. Very homely and welcoming. Congratulations to you Tane and Renaa”. Rueben. “A NEW BEGINNING” I would like to share my experience with others on learning how to fly fish with Tane. I have always loved fishing. Am not an expert in any particular field of fishing but love the relaxation of it all. 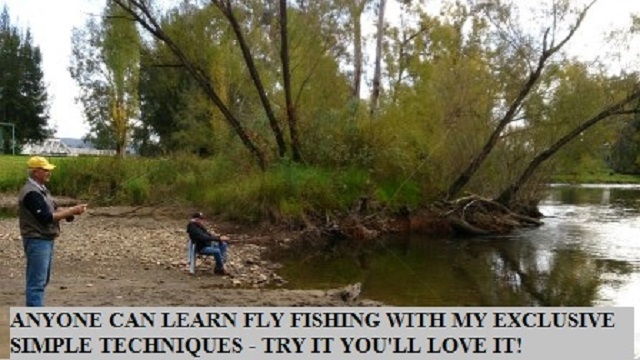 After watching shows on T.V about fly fishing I always assumed that it was a bit too hard to do. My husband doug asked if I would like to have a go. 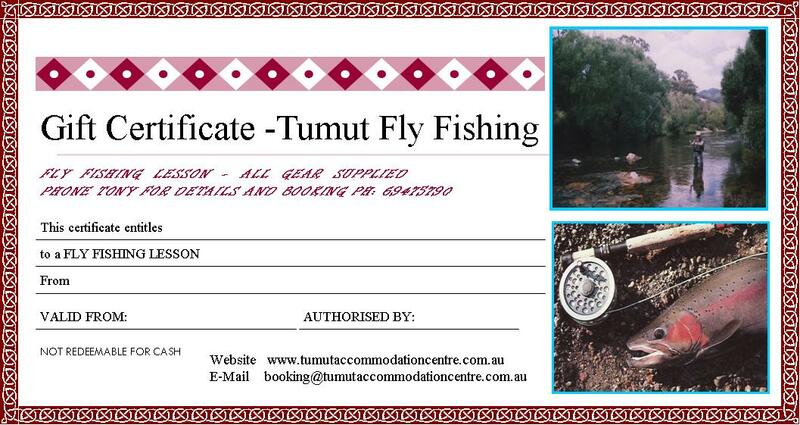 He organised a holiday to Tumut and fly fishing lessons with Tane. So here I was getting lessons off Tane. He assured me that it is not that hard once you know how to cast. Tane has this very simple and unique technique that is very kind to your body. I have to say, that I have not met anyone so passionate about his fly fishing. It is quite contagious. He was amazing. In a few days I learned how to cast with ease. WOW!,,,, I have to give Tane a big ” thank you” for being so patient with me. Your technique is truly amazing. Can’t wait to catch my first trout. Till next time!!!! !